North Manchester was positively brimming with excitement by the time their huge ShabbatUK ‘coalition’ came around, with adverts on billboards and in the local Jewish paper sating appetites for a packed programme across four of the main shuls. Participating congregations included Holy Law & South Broughton, Heaton Park, Prestwich and Manchester Great, New and Central. Communal Friday night davening with over a thousand in attendance set the tone for a ruach-filled weekend that saw shuls decked out with decorations including a Bedouin tent and a camel (! ), communal meals along long tables, workshops, international speakers and a Havdalah concert finale with a band from the US. 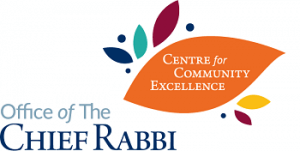 Participants were particularly pleased to witness the spirit of unity fostered between the United Hebrew Congregation and Charedi communities.